Explanation: June 24th marked the first full Martian year of the Curiosity Rover's exploration of the surface of the Red Planet. That's 687 Earth days or 669 sols since its landing on August 5, 2012. 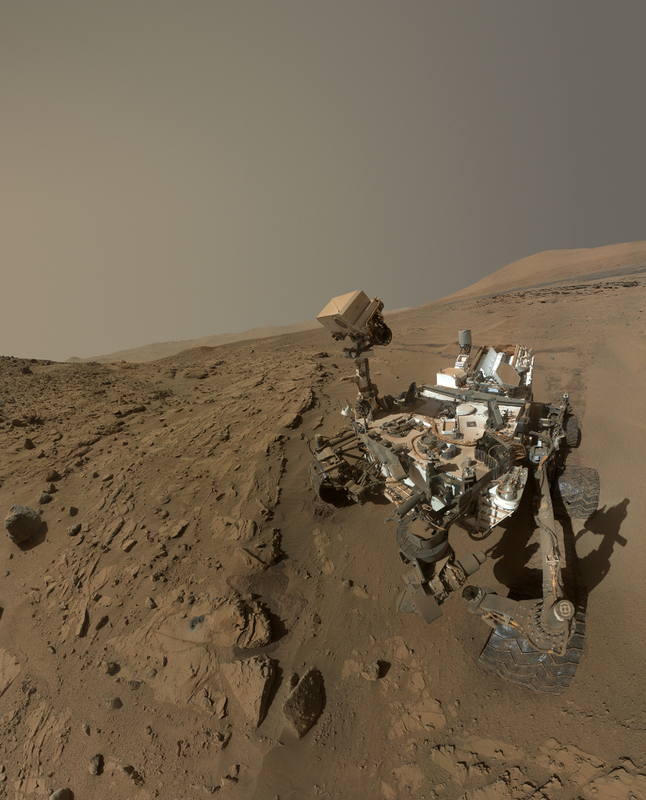 To celebrate, consider this self-portrait of the car-sized robot posing next to a rocky outcrop dubbed Windjana, its recent drilling and sampling site. 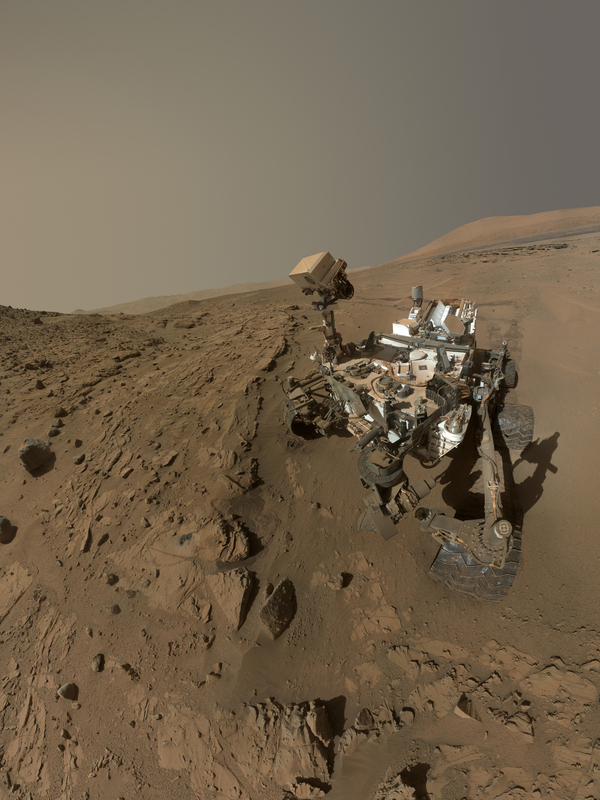 The mosaicked selfie was constructed with frames taken this April and May using the rover's Mars Hand Lens Imager (MAHLI), intended for close-up work and mounted at the end of the rover's robotic arm. The MAHLI frames used exclude sections that show the arm itself and so MAHLI and the robotic arm are not seen. Famous for panoramic views, the rover's Mastcam is visible though, on top of the tall mast staring toward the left and down at the drill hole.